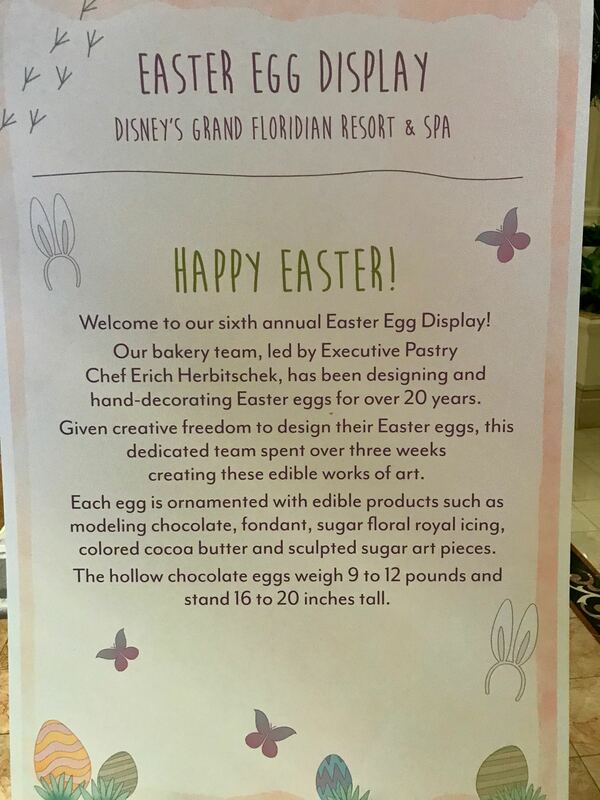 Posted on April 12, 2017 April 12, 2017 by Ian C.
We learned this week about the annual display of chocolate Easter Eggs at the Disney Grand Floridian hotel, so went to take a look – not really knowing what to expect. We were impressed! At least 20 intricately Disney-themed decorated Easter Eggs, all at least a foot tall – and some of them smelling quite delicious too!